Wayanad is an amazing district in Kerala, abounding with an immense amount of natural and scenic landscapes. It is the perfect place for anyone desiring to escape and get away from the hustle and bustle of urban living. And this is certainly something that plenty of people actually do almost every single day, in one way or another. One of the ways in which they do indulge in an escape from their urban living is camping, typically in a place that is a far cry from anything resembling civilization. 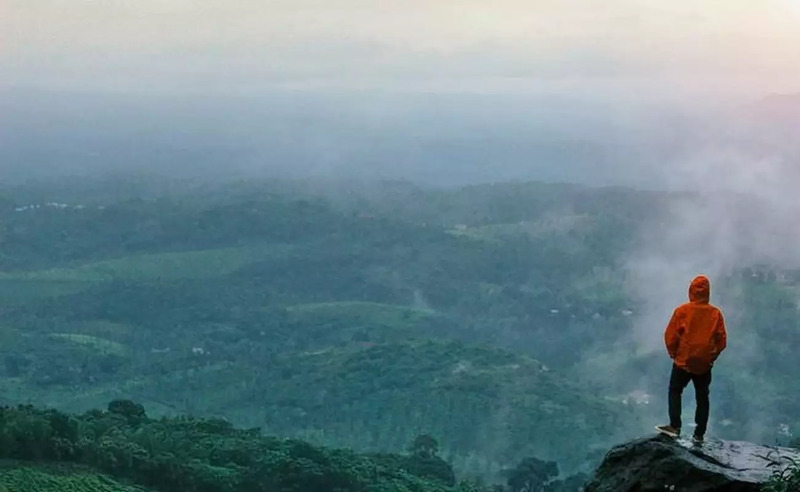 There are plenty of places across Wayanad which happen to offer these places, making the district a truly amazing place to flee urban chaos while embracing everything that is natural. As with any activity in one’s daily life, there are a set of guidelines as well as precautions that need to be considered. This is the most important thing that one should focus on before planning on any trip. Not all trekking and camping locations are accessible with equal ease. On the contrary, there are severe restrictions for any and all entry to a lot of these locations. A lot of these restrictions are largely a result of efforts to promote environmental conservation and protect the natural world from harm by people. When one goes for a trek or a camp in areas designated to be a wilderness, it can at times be at conflict with the goal of conservation, since it entails permitting of people into an otherwise protected area where people are not supposed to be present. Getting permits for the same is not very difficult to a large extent. There is a need for one to fill out some forms and perhaps provide an ID or two, but it will all be done in a couple of hours at most. The permits themselves are available at the local forest check post or the main office of the forest department. Then again, if the land happens to come under the jurisdiction of a different legal authority, one will have to go and seek for a permit from the issuing office of the same. One should pay attention to this in particular, as ignoring this could result in a lot of legal trouble. Entering protected zones is a violation of the law and a criminal offense, with penalties that range from small fines to imprisonment, depending on the case and context of the violation. Then again, a lot of places don’t require a permit as such and can be used by the public without any sort of charge or permits being necessary. Such places are however, a rarity as most places that are regularly visited by tourists tend to come under one form of management or the other. But at the same time, it doesn’t mean in any way that these places don’t exist. One will need to do some research in order to find out more about the exact nature of individual locations. While camping in any place overnight is something that is truly amazing, the activity is not without risks. This is especially the case if one is camping overnight, as opposed to being an activity that lasts during the daytime. Being a night time adventure, there happens to be a multitude of different issues that one will need to be aware of. The first issues that will be of concern to almost everyone are other people. The threat here comes from both other campers as well as those from the outside. It is important for one to go about camping with people who is trustworthy or at least known to some degree or another. In addition to this, one should pay attention to the sort of camping site that is being chosen for an overnight stay, as not all places are equally safe from miscreants. Furthermore, there should be some kind of attention paid to the sort of security available in each camping location. The second issue is that of the safety from wildlife in the nearby surroundings. A lot of campsites in Wayanad happen to be inside or near wilderness areas, which could potentially allow for wildlife to intrude into the camp. Some of it might be more of a physical threat such as the ones posed by elephants or tigers. Others happen to be dangerous in the sense of being poisonous; for example, the King Cobra is endemic to the Western Ghats, making it a real problem for campers who choose to stay here with the issue being a serious one considering that the anti-venom for King Cobras are rather rare and far from the reach of places that really need them. The last issue happens to deal with campsites themselves. Overnight camping will require some level of attention paid in terms of the location stability in and around the campsite. Wayanad is largely a hilly region, making the whole area susceptible to landslides as well as rock falls. 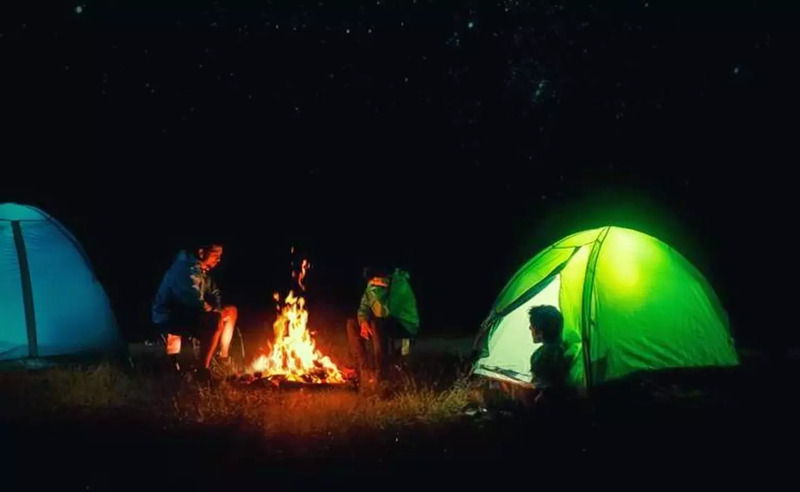 These are issues that can possibly result in injuries or even fatalities, especially considering the fact that an overnight camp will imply that most people are sleeping to even be aware of their surrounding environment. The climate and weather is something that must be taken into account whenever one goes about camping, especially if it is something that would be done overnight. The reason for this is because not all places happen to be equally stable when it comes to climate and weather. These factors vary from time to time, making camping overnight rather difficult to downright impossible. In other words, very few places actually have the luxury of being suited and in a position allowing it to be used as a campsite throughout the year. This is especially true when it comes to Wayanad. 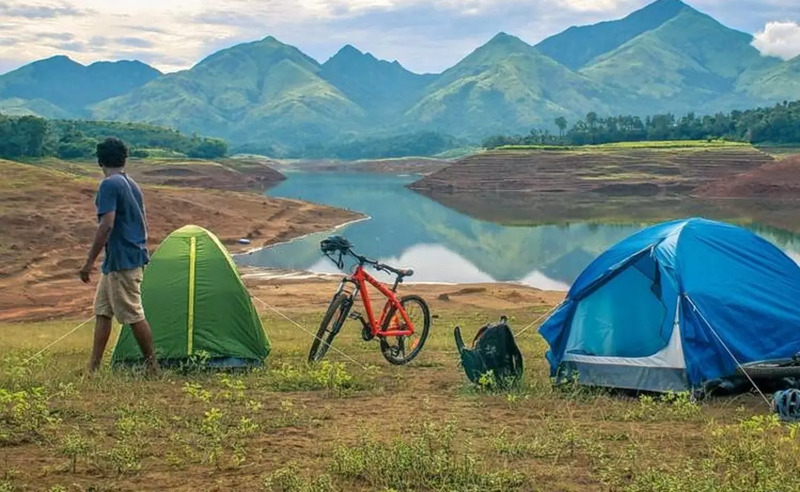 The region happens to be situated right in the heart of the Western Ghats Mountains, making it an especially difficult place for overnight camps during some of the months during the year. The reason for this is that the entire region happens to be a rainforest or a semi-rainforest, implying that the area receives a great deal of rain pretty much all throughout the year. Most people will surely enjoy an occasional drizzle but a major downpour is something that most people tend to love hating more than anything else, especially if they are out camping and are forced to stay within their tents to prevent themselves from getting drenched in the rain. It is therefore important that one pays attention to the local weather as well as avoid the rainy season, since it can ruin one’s plans if they are ignored. In light of this, it is necessary to go camping in months other than that of the monsoon, which is predominantly in July, but which also extends 1-3 months before and after it as well. There is the issue of heat but it should largely be something that can be ignored. Kerala is in general a very hot state due to the fact that it lies very close to the equator. But this is something that can be ignored in the case of Wayanad to a certain degree, since the local temperature tends to decrease when one goes to higher altitudes. However, it is necessary for one to always pay attention to local weather reports, especially during the summer months. Overnight camps, regardless of location will entail the need for some essential supplies that might be needed in case there arises some kind of an emergency. Some of the things that can come under this list will include, among other things, first aid kits, compasses, local maps, GPS, etc. In general, this applies equally well to anything and everything that could possibly be needed. When it comes to Wayanad, there happens to be plenty of excellent and fun campsites almost everywhere in the district. The only problem with these places is that they are more often than not very, far away from the closest shop for the necessary supplies. This is rather problematic here as much of the camping sites in the state, as beautiful and scenic as they may be, happens to be in locations that are often kilometers away from the nearest settlements. As cliché and obvious as it may be and seem to the rational person, people will more often than not overlook this as something that is more of a formality than anything else. However, more people tend to ignore this one single rule than all of the others combined, due to the false notion that there happens to be no real difference whatsoever for one’s camping experience regardless of what clothes one wears. While the logic might apply itself to some of our everyday activities, camping happens to be one of those things that lie outside of this notion and paradigm. The reason for this is due to the fact that when you are camping, you are more often than not spending time in the wilderness, where comfort is absolutely necessary. To put in a different way, if one is wearing clothing that causes discomfort to one degree or another, it can become a real problem, considering the fact that most of these places don’t have furniture or other such modern amenities which have greatly modified our everyday bodily movements and posture. To make a long story short, one will have to wear clothes that will allow for a level of comfort comparable to that which existed during the Stone Age. It should essentially mimic the sort of clothing people wore when they were compelled to live in a completely natural environment, devoid in every single way of all modern advancements. With respect and specific reference to Wayanad, it should be added here that this district happens to be more or less a warm and tropical region, with rainfall spread out throughout the year, albeit concentrated around July. This means that the kind of clothing being carried along should be suitable for summer for one thing. In addition to this, there should be some attention paid to thermals, as the place can get very cold in some areas because of their higher altitude. And last but not the least; one should carry a set of waterproof clothing or a raincoat, which will help in enduring the tropical rains that happen to be a characteristic feature of this region. As a whole, camping can be an amazing thing to indulge in, if that happens to be something one takes a certain fancy towards. At the same time however, it is necessary that pays attention to a couple of details as well, which will ensure that one can enjoy a memorable camping expedition while simultaneously remaining legal, prepared and safe.